Khloe Kardashian and Tristan Thompson have apparently repaired their relationship since his cheating scandal broke right before she gave birth to their daughter True back in April. And now, it looks like they might be taking things to the next level. Could Thompson and Kardashian be headed down the aisle soon? According to Hollywood Life, cameras recently spotted Thompson shopping for engagement rings at Polacheck’s, the Kardashian’s favorite jewelry store in Calabasas. “The diamonds Tristan were looking at were huge, like over 5 carats in size and cost over $350,000,” reveals an insider. The source adds that Thompson was also looking at tennis bracelets and diamond watches and seemed to be excited and in a good mood. It has been just two months since we found out that the NBA player reportedly cheated on Kardashian multiple times during her pregnancy. But, they have been working on improving their relationship, and since they moved back to Los Angeles from Cleveland, they have been out on multiple lunch dates and outings. During the off-season, Thompson spends his time in L.A. with Khloe, and will then head back to Cleveland when training camp starts later this fall. Many fans are not thrilled with Kardashian’s decision to stay with Thompson after his infidelity. And when one fan tweeted her disappointment, the new mom replied so she could set the record straight. 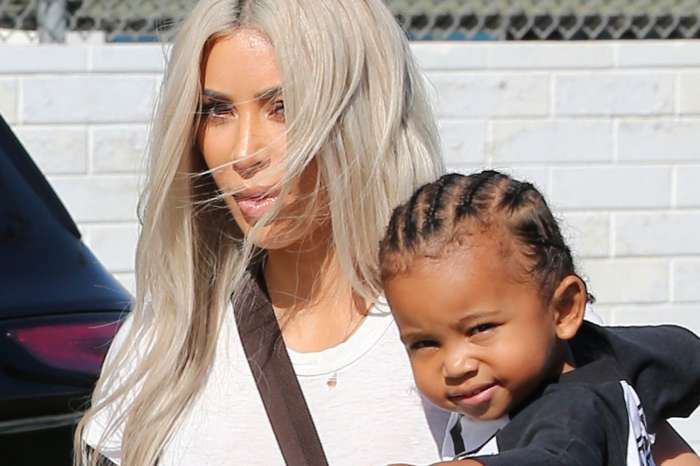 Kardashian wrote that it was difficult to stay in the relationship, and no one knows what goes on in their house and the rebuilding it took to coexist. However, she says she is proud of her strength. She then added that she appreciated the opinion and hoped they felt the same way about everyone in the same situation. Thompson and Kardashian went to the Los Angeles restaurant BOA earlier this week to celebrate a friend’s birthday, and she was wearing a huge ring. We don’t know if it is the one Thompson was shopping for, but some reports claimed the couple looked “tense” during their night out. Insiders say that since Khloe Kardashian and Tristan Thompson returned to L.A., they seem to be in a good place. And, she is family-focused and wants to keep her new family together.